Which would you choose? Neoprene based product or Canister Spray contact Adhesives? 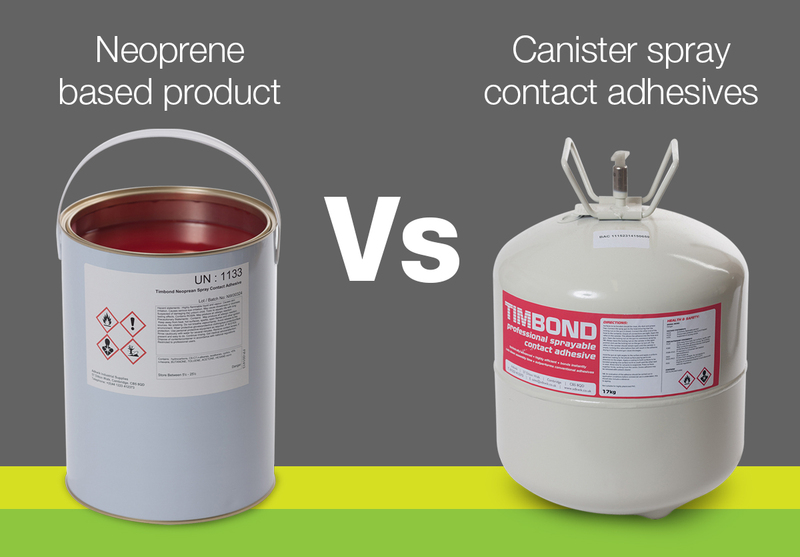 We often get asked what's the different between pre-pressured systems Vs Neoprene based contact Adhesives. So that's why we wanted to share the advantages of each product with you, to help you decide. Timbond Neoprene is a liquid sprayable contact adhesive. Timbond Professional Spray Adhesive is a pre-pressuriesed canister contact Adhesive system.